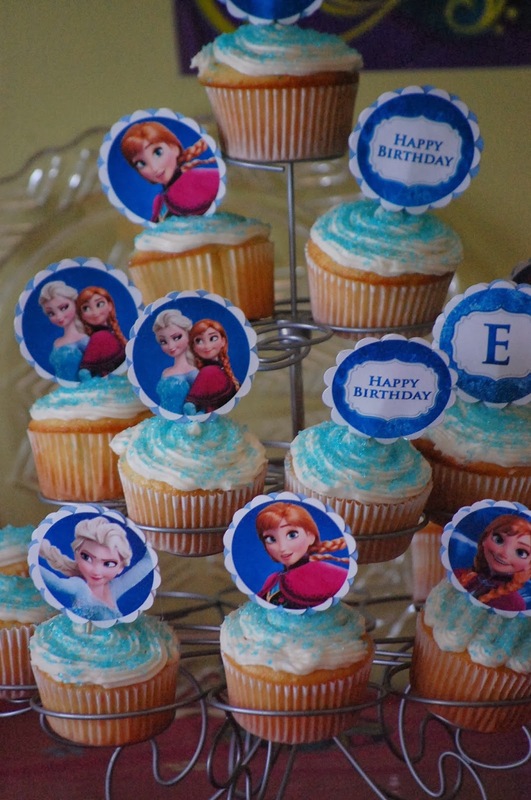 Little Writer Momma: Happy Frozen Birthday Princess Ella! My sweet, round faced four year old went and turned five on me this month. If you're a mom you know how I feel. A birthday as significant as five should be celebrated big time , but it's so hard to believe it's happened so quickly and comes with a certain amount of disbelief. Our house is about all things Frozen these days and thus our theme for the party emerged quite quickly and without hesitation! 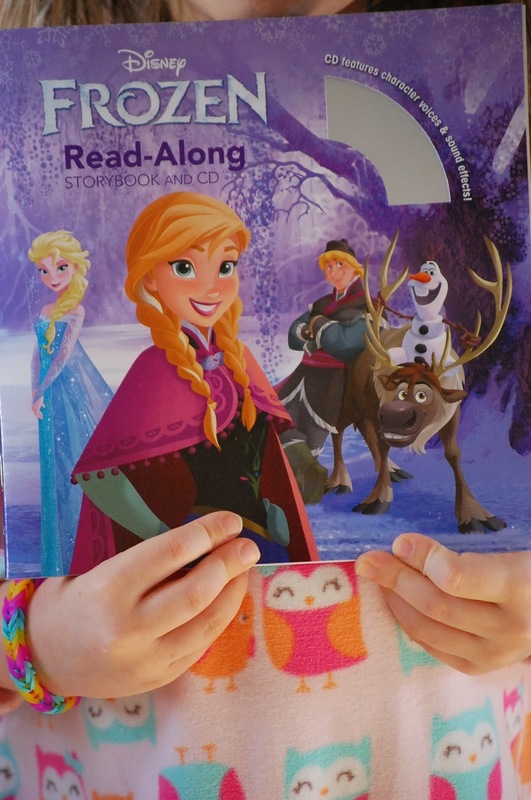 If you have little girls between the ages of 3-10 in your life, chances are you have been as indoctrinated into all things "Frozen" as we have. While I can't say for sure (I don't know the stats) it seems, that for some reason, this movie has taken off with the little princess crowd to a degree much greater than many of the other recent Disney movies. I mean we liked Tangled, but we LOVE...we ADORE...we SING until we're blue in the face, all things Frozen. We have hand motions to "Let it Go" and skits inspired by "Do You Want to Build a Snowman?" And, I must confess, sometimes reindeer ARE better than people...but I digress (that's an inside joke for those of you haven't seen the movie). We've seen the movie in the theatre twice, have watched every preview and clip that You Tube has to offer on multiple occasions and play the soundtrack daily (and from the Facebook posts I've been reading it seems that we might not be alone!). 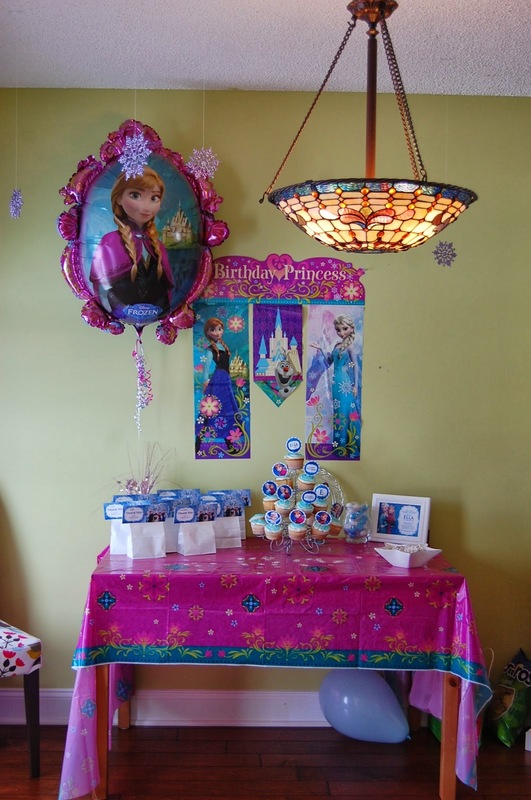 If you are the parent of a princess who has been bit by the Frozen bug and whose birthday happens to fall in the current winter months chances are you too may have spent time tracking down sold out plates and napkins and party favors at party city and scouring online sites for all things necessary for a Frozen themed Birthday party. You may have even paid $6, plus shipping for 75 "smile maker" Frozen stickers (you know the ones they give away at the doctors office to bring back a smile after a stressful visit!) for goody bags, even though you knew it was a very irrational and impractical thing to do because all such stickers and favors were deemed "sold out" at every store and website you visited. 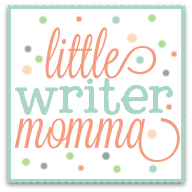 My husband likes to tease me, when I'm griping about how little time I have, that if I put as much time into my writing or organizing our infamous basement as I do into planning my girl's birthday parties that I'd probably have things more figured out. I'm not even sure what to say to that. Except that the girls only turn 3 and 4 and 5 and 6 once. And quite frankly, I know that here will come a time when they will cringe at the thought of Disney themed birthday plates and homemade glitter crowns...the days are long, but the years are very, very short and so I'm making the most of these birthdays (as insane as I swear they are going to make me sometimes!) and we try to celebrate in style. 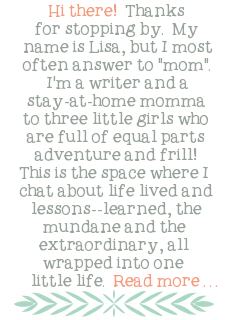 Ahhh....I was so naive about who I would be as a mom. That list is becoming quite long and most recently includes picking my daughter up from preschool, on a regular basis, at noon, in the same clothes that I wore to bed the night before with no makeup and a hat to covered my tattered mess of hair...because...I kid you not, between nursing the baby and cleaning up breakfast there is no time left over for getting dressed. Our cupcake and favor table...can you see the purple snowflakes that Scott and I were hanging from the ceiling at, I kid you not, 12:30 a.m. the night before? the cupcake and goody bag toppers were created from a file I purchased from an artist on Etsy. 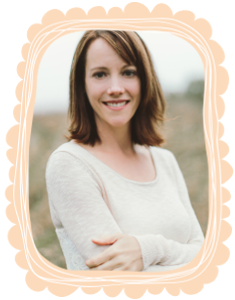 You'd be surprised at how many party suppliers you can find on there and what they can create. We also purchased the file for Ella's invitations (which were really cute) and her thank you notes. We had everything printed out on card stock at Office Depot and then I purchased a large, round scalloped paper punch to punch out the cupcake toppers. The best part about it was that they were personalized with her name...so cute! The peppermint white chocolate covered snowflake pretzels I found at Wal-Mart turned out to be a party favorite...Who would have guessed?! A couple of the girls with the crowns and wands we made...note to self...I should have just made them myself before the girls showed up and let them run around the house hitting balloons at each other with their pre made gear all ready to go! Scott's very fair question to me..."Um, Honey, was this craft for 4 year olds or 10 year olds?" There is, after all, a big difference. I knew there was a reason I majored in elementary education for just one semester in college before switching to secondary education. The girls watching You Tube videos of Olaf and Elsa streamed through Apple TV. Haha. 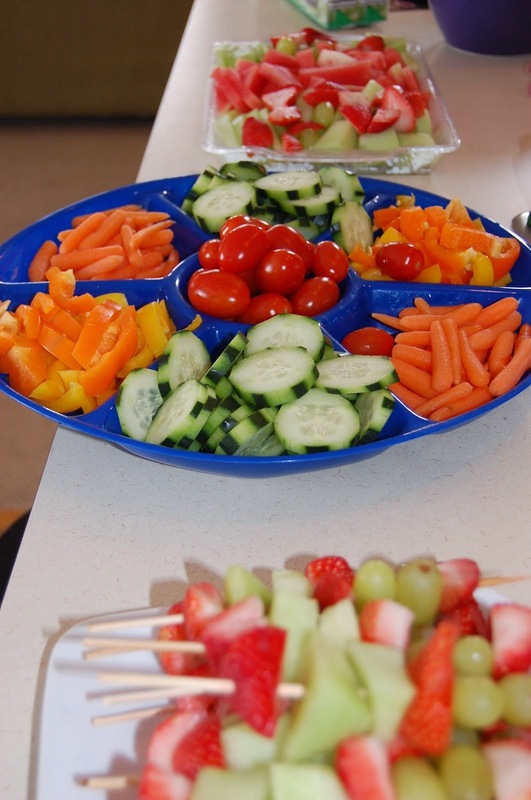 The lovely fruits and veggies I cut up. Another note to self...Four year old girls really like fruit and don't really like vegetables. At least not at birthday parties! 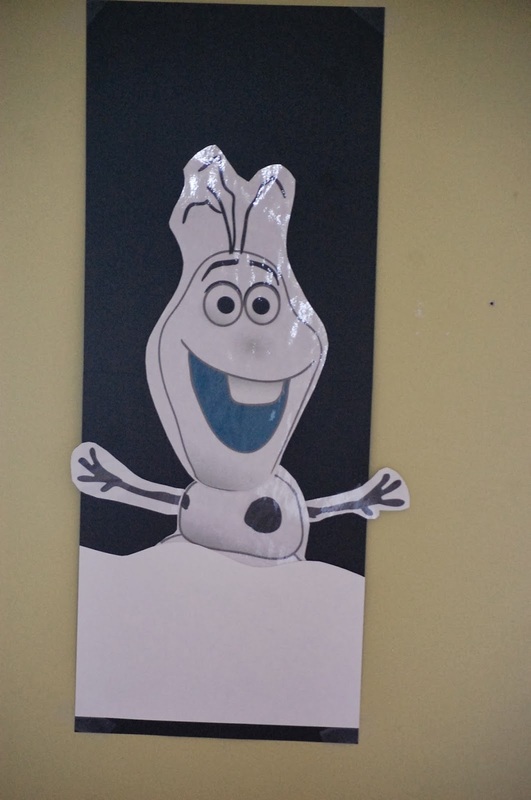 Pin the carrot nose on Olaf (I can't find my after picture! )...a game that was MUCH more competitive than I would have guessed! 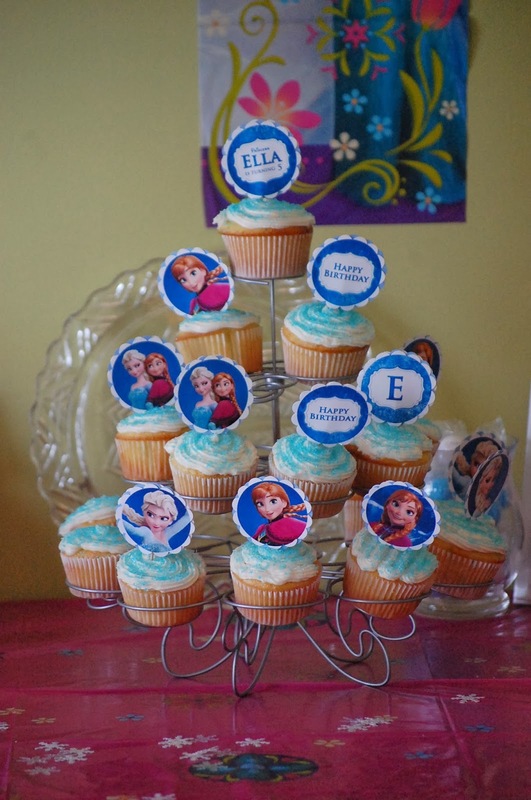 One quick picture of the day after the Frozen party, which was Ella's actual birthday. It has become a right of passage in our house (that Scott cringes at) to get an American Girl doll for your fifth birthday. I won't go on and on about how stinkin' expensive the dolls are... I will say, despite their steep price tag they are very well made and Ella LOVES her new doll. And the girls have played dolls almost every day since...which is very sweet. 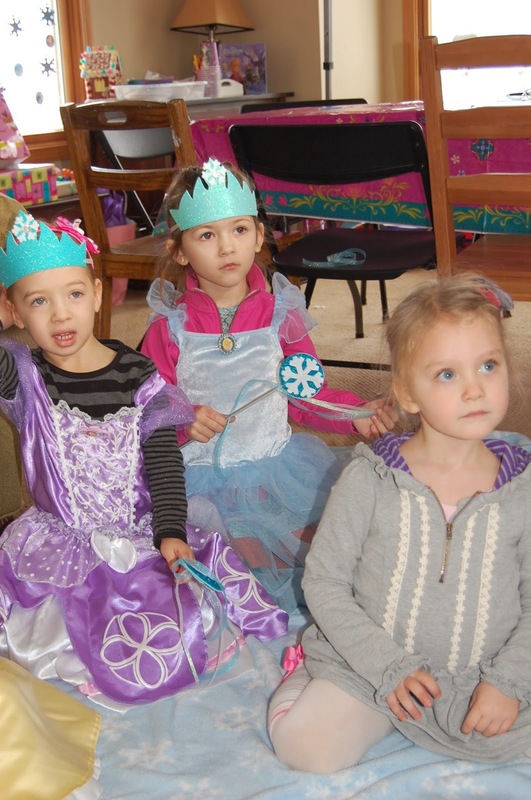 So, there you have it...a successful princess birthday party for my sweet five year old. It's all a precarious balance that I'm afraid I will never figure out, but in the meantime Disney songs and glitter crowns are kind of fun, if I do say so myself! Super cute! We had "5" over here this year too and it IS a big deal. Thank goodness there weren't any Frozen things out yet because Cinderella was hard enough for this mom! That's cute! Kids having great fun and also enjoying their props of birthday favors. 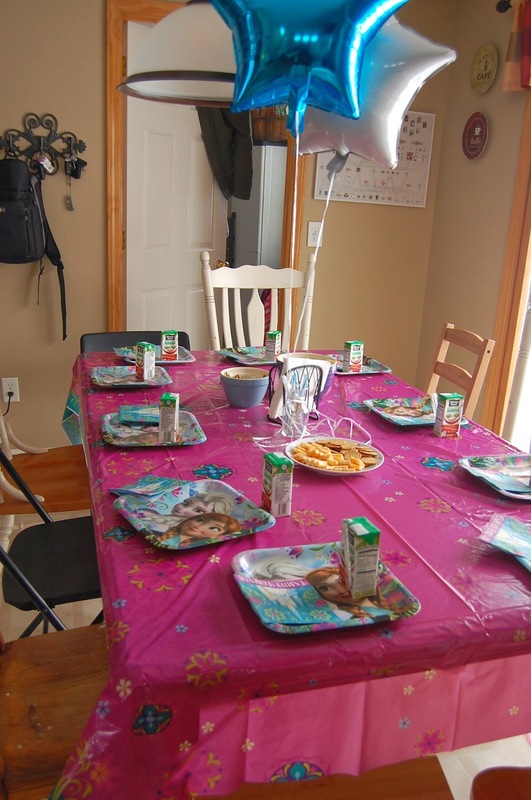 My friend is also thinking of such attractive birthday celebration of her daughter. Hunted many Chicago event venues for the tea get together. Suggested her doll cake and pink bunting with balloons. Everything can be easily done by us only.